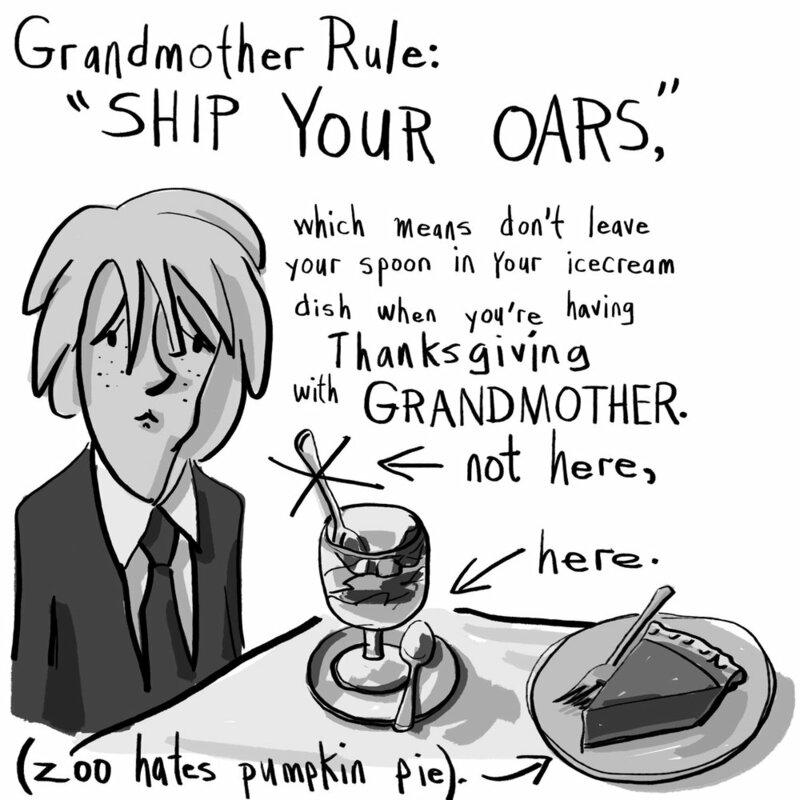 Thanksgiving is always spent at Grandmother's. Zoo M. Slicky is forced to dress up in suit and tie. Yeesh. And Grandmother has too many rules to enjoy the holidays, but he does get to hang out with his mischievous cousins...who have been known to dangle him off the balcony by his ankles. We hope your holiday is a little less adventurous, and full of family of all kinds.